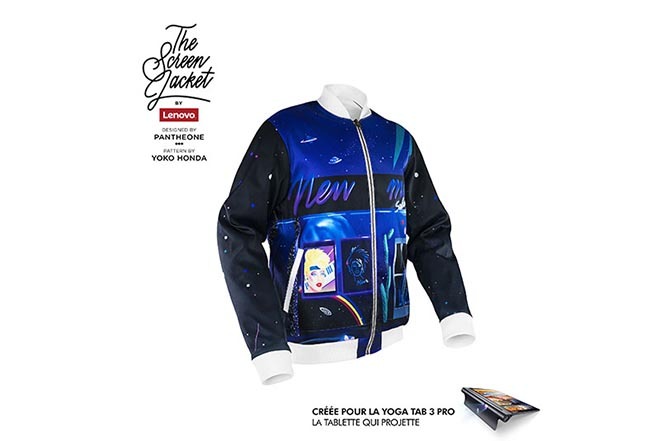 Lenovo France has launched the Lenovo Screen Jacket, a streetwear jacket designed to double as a screen for the Yoga Tab 3 Pro tablet. 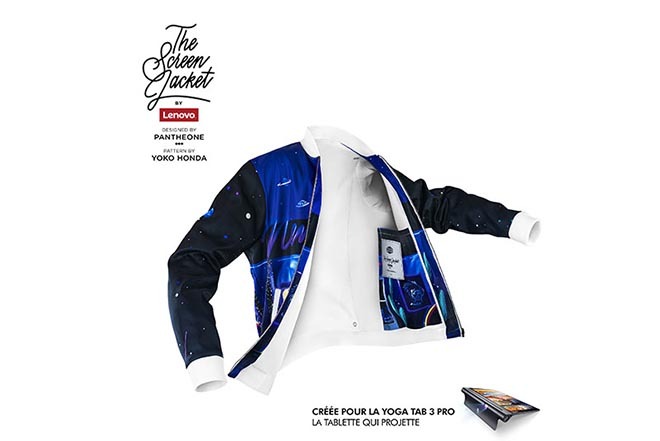 The tailored streetwear jackets, when turned inside out, transform into a screen that makes use of the Yoga Tab 3 Pro’s projection capacity. An inside pocket is designed to both carry the YOGA 3 Pro Tab and keep it clean. 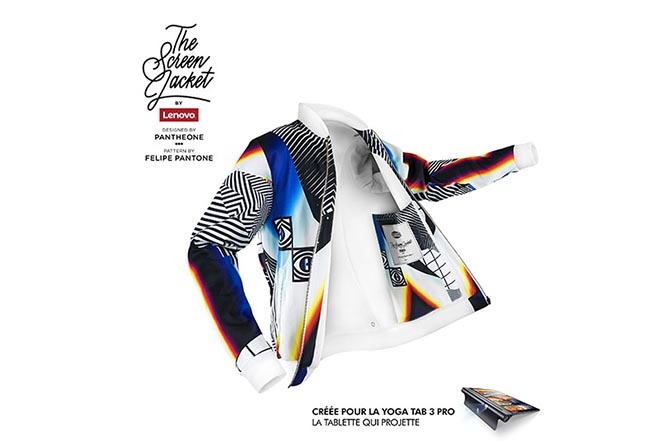 The inside of the jacket folds out in seconds to reveal a white canvas with an area of ​​60 cm x 120 cm. 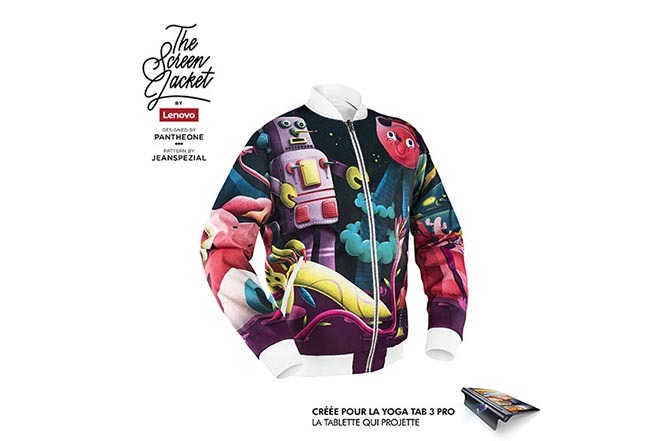 Integrated hooks in the vest can be used to attach the four corners of the canvas on different types of surfaces. Magnets are used to fold the canvas up. The screen jacket will be sold on the site www.jvgbd.com from December 17 at a price of €350 including tax. 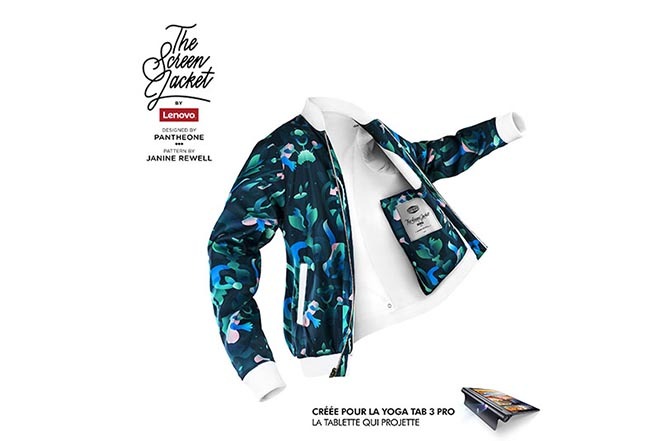 See the Lenovo Screen Jacket on the Project Your Talent GoodWeird Project site. 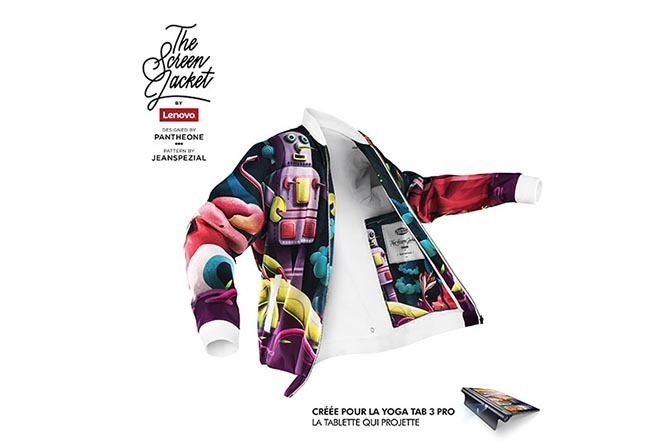 The Lenovo Screen Jacket concept was developed at Ogilvy France, Paris, by executive creative director Baptiste Clinet, creative director/art director Paul Kreitmann, copywriter Olivier Le Lostec, head of integrated production Antoine Bagot, integrated producer Marine Redon, strategic planner Ivan Pejcic, account director Augustin NeuveEglise, and account manager Kevin Donati, working with Lenovo Europe marketing director Laurent La Rocca. 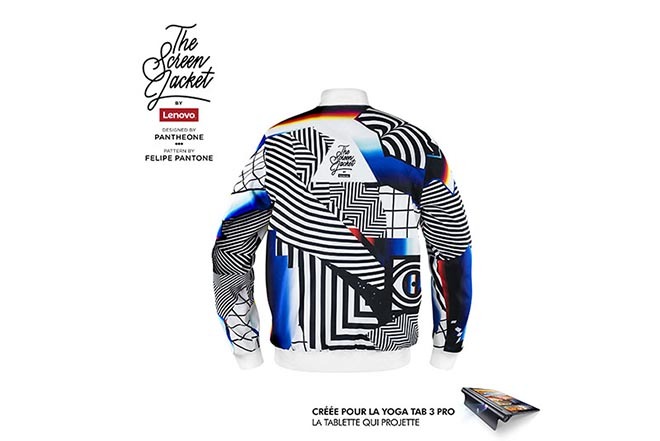 The jackets were produced by Pantheone using designs by Jeanspezial, Yoko Honda, Felipe Pantone and Janine Rewell. 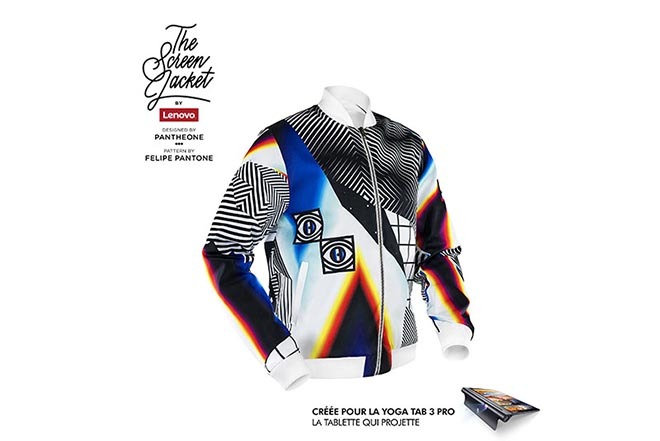 Filming was shot by directors Paul Lombard and David Hugonot Petit via Pavillon Noir with producer Ghislain de La Chaise, production director Alliocha Madeuf, and photographer Elise Gerona.